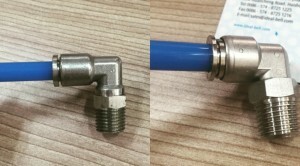 Our Stainless Steel Fittings launches several weeks, I made some comparison of straight fittings sometime before and still not make Elbow fitting comparison, Today let’s do it! 1) As a rule, we start from the material, you can see ours is very smooth, without any burrs or vertical texture. But others is with obvious burrs and vertical texture. 2) Swivel function: All Elbows are swivel, but when you rotate, our is smooth and tighter, others is friction driving and loose. And when you push the tubings in, you will also have the same feeling. 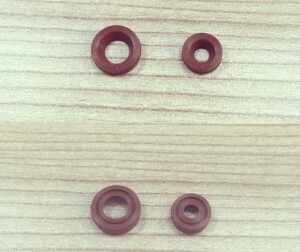 It is mainly because we use better viton Seals part. Pls ask me for samples if you want to check by your own. 3) Connection and Disconnection: we can save your time of Connection and Disconnection! 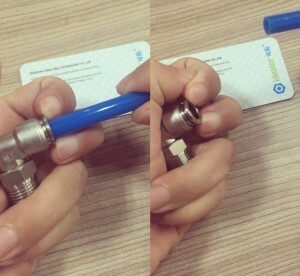 Our fitting costs only 3 seconds to do it: Push tubes in–Press button Down–Pull tubes out easliy. Even a child can make it in 3 seconds! But Pls note, If you don’t press button down, it will not be pulled out easily. 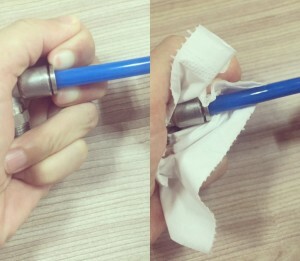 Others is very difficult to disconnect, I cannot pull it with my hand, then i add a tissue and pull it out at least 60 seconds. 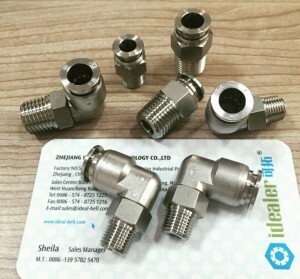 Our Stainless Steel Fittings are made with Japan technology, use high grade 316L stainless steel material and Viton seals, high quality and acceptable cost! Pls feel free to ask me for Free Samples! 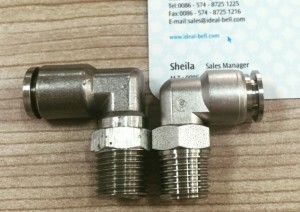 Ideal Bell: sales@ideal-bell.com! Or click here to choose your types and sizes!